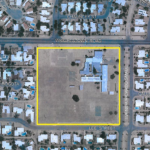 The TUSD Governing Board completed its first school asset sale Tuesday for 9.2 acres at 8950 E Wrightstown Road for $1.3 million ($3.24 PSF). 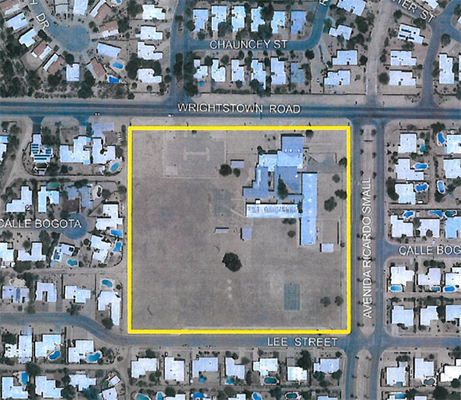 The former Wrightstown Elementary School sold to Pepper Viner Homes of Tucson after one and a half years in escrow. The property was sold contingent on rezoning which was rezoned from RX-1 to R-1, and final plat approval which is now platted for 56 SFR lots. The developer has responsibility for razing school buildings. The new community will be appropriately called The School Yard and have 30,000-square-feet of functional open space. Homes will be from 1,400 to 2,100- square-feet with five floor plans. 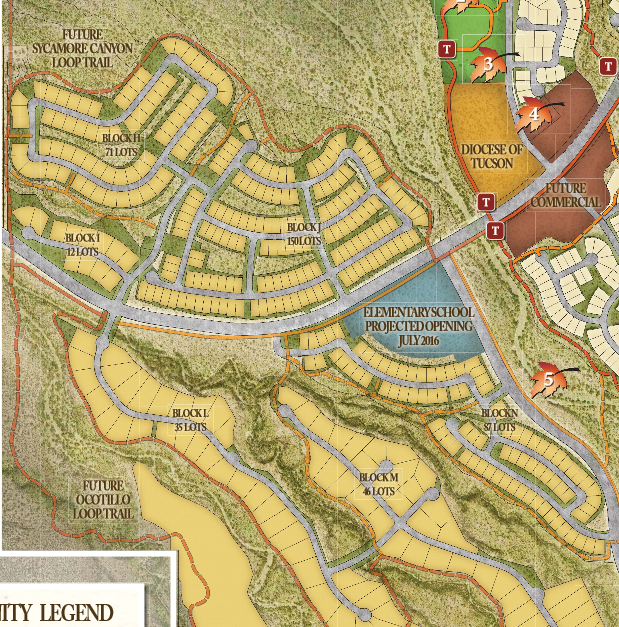 The homes will all enjoy beautiful Catalina Mountain views, recreational trails, and be environmentally friendly, high performance, and energy efficient. Two other developers had bid on the property prior to Pepper Viner but with higher density homes. The neighbors did not want the higher density with more traffic on the streets. They also worried that a handful of two-story homes would block their mountain views, so Pepper Viner agreed to remove two-story homes from the south side of the development. Jim Marian with Chapman Lindsey Real Estate Service of Tucson represented the buyer in the transaction. With this first sale now complete, TUSD has at least three other school properties in escrow that should move smoother. To learn more Marian can be reached at 520.747.400 ext. 106 and Pepper Viner is at 520.721.7964. For additional information see RED Comp #3198.